Barry Chuckle, Paul Chuckle, Patrick Nyland et al. Crazy antics ensue when Barry and Paul Chuckle get into more screwball situations ch-ch-ch-ChuckleVision! 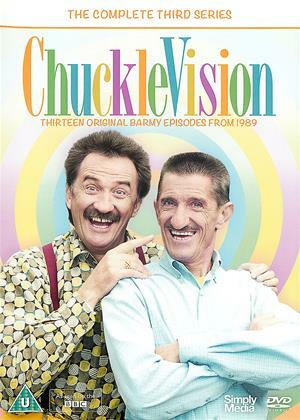 The Chuckle Brothers are back with more slapstick antics and comical misadventures in this much-loved children's TV series, which ran for 21 seasons from 1987 to 2009. There's dancing, singing, conjuring and much more as the brothers try their hand at a bit of everything for our entertainment. And look out for the Chuckmobile! The eager-to-please, daft spiky-haired men with dodgy moustaches, is a TV phenomenon that s here to stay!